I do love a food market so I was excited on a recent visit to Johannesburg when my friend Sharon (a local Joburger) suggested we spent Sunday morning/lunchtime at the Fourways Farmers market. 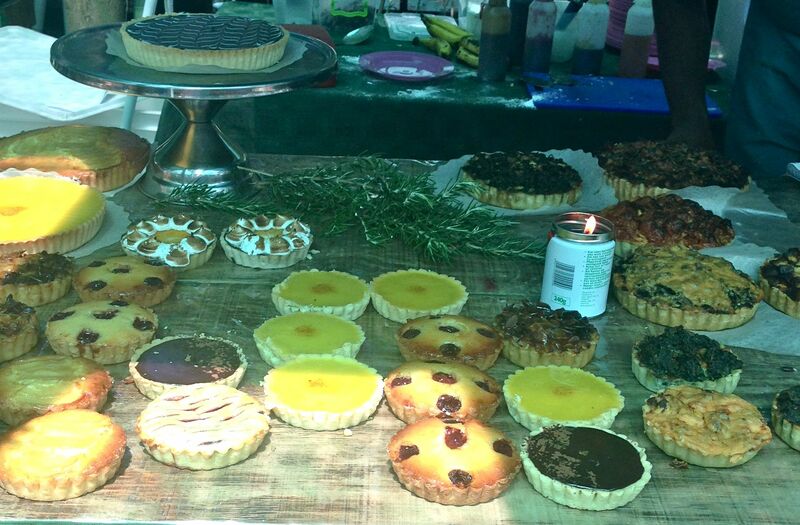 This beautiful market is set under the trees with plenty of fantastic stalls offering local and home-made produce. 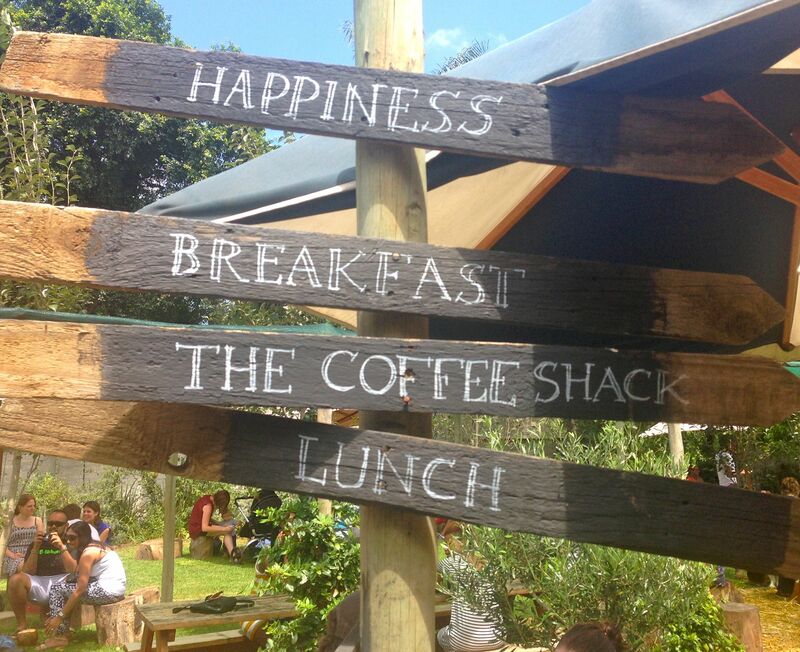 Plus there’s breakfast and lunch choices and plenty of drinks to sample. It’s beautifully peaceful and hard to believe you’re pretty much in the middle of a large city. The perfect escape. One of my favourites was this spicy selection. 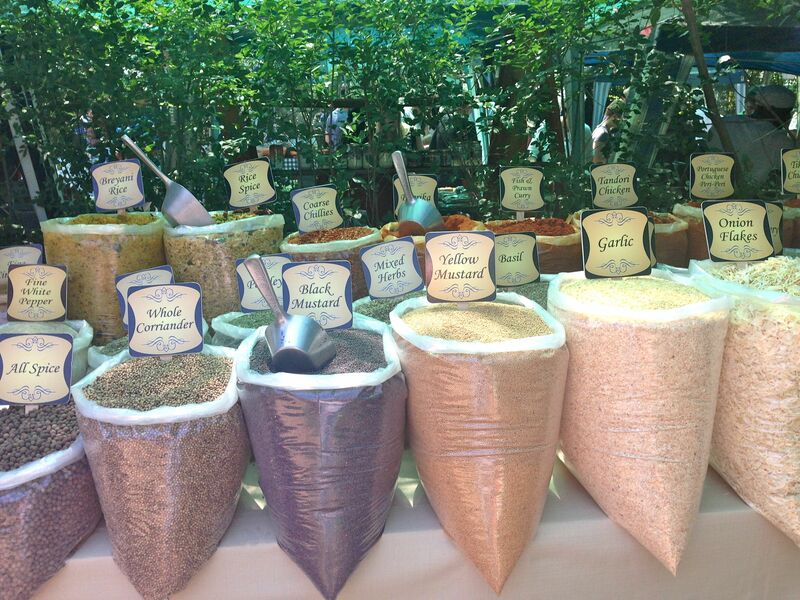 Pretty much every spice you could imagine, beautifully laid out and tempting you as you inhale their wonderful aromas. 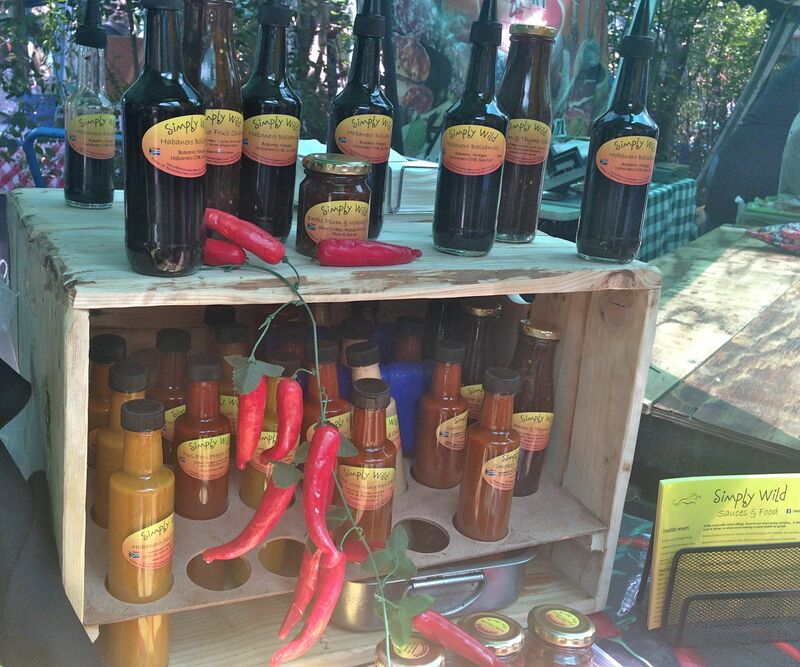 An amazing array of chilli sauces and relishes, with heat to suit all tastes. Simply Wild also has a range of mayos, including delicious garlic and wasabi. These fried chicken wraps were very much in demand and smelled delectable. There’s no shortage of sweet choices, either. From fudge in myriad flavours, wonderful Turkish Delight, macaroons and plenty of cakes and tarts. 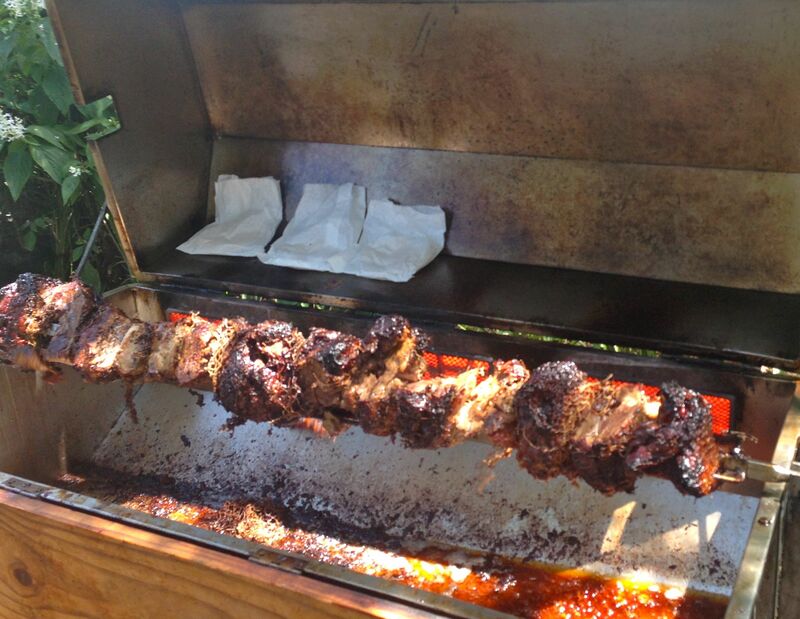 It’s hard to resist lamb on the spit. This flavoursome meat was stuffed into pittas with tatziki for our satisfying lunch choice. A piece of advice: make sure you sweep the whole market before you decide what you’re going to eat! There’s a large selection, after all it’s always a good thing to know exactly what’s on offer before you commit. 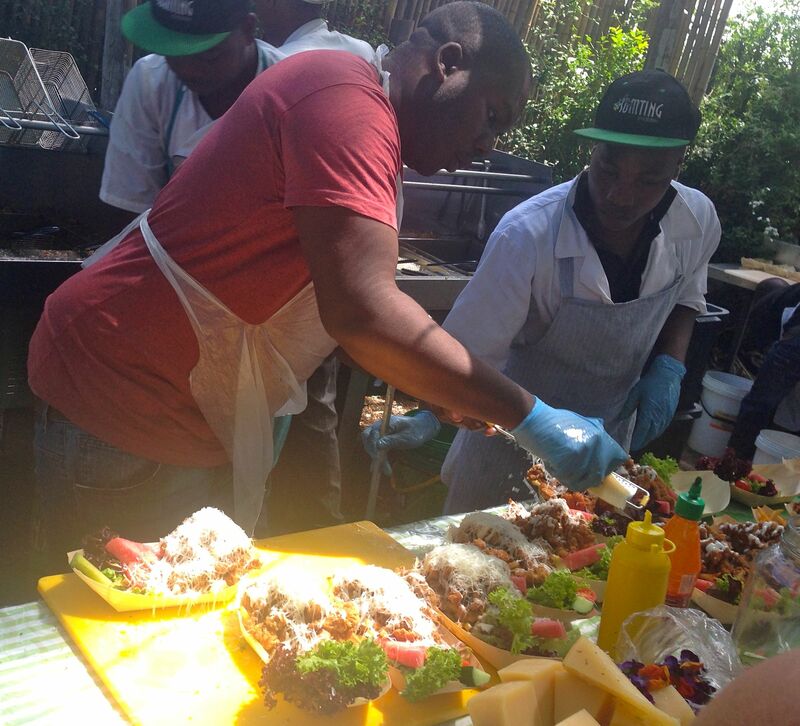 The leafy market was buzzing with people enjoying a sunny Sunday, good food and an amazing atmosphere. There’s also live music to enjoy as you picnic under the trees sipping on a glass of local bubbles. I’d definitely be a regular if I lived in Joburg – and no doubt would be filling up my cupboards with new delicacies to try. 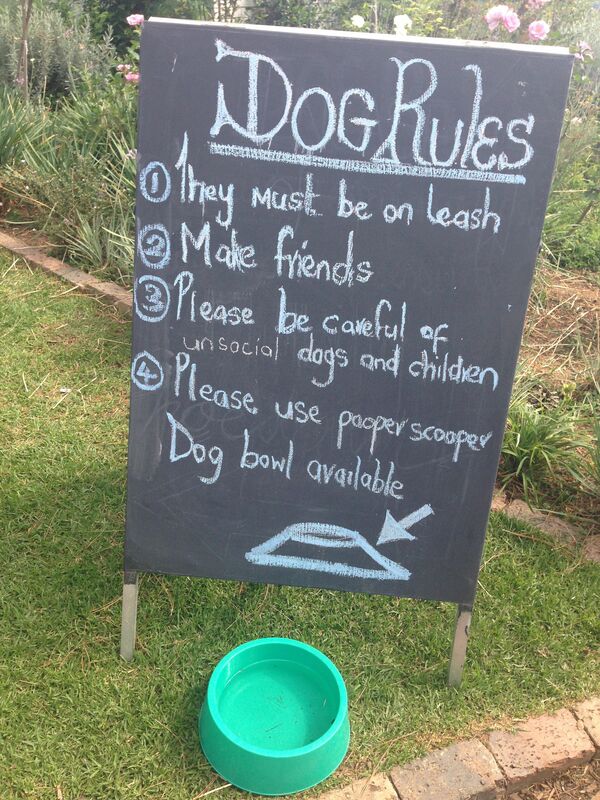 And it’s a great place to absorb some of that friendly “Joburg vibe”…they really do make everyone feel right at home. Thank you Sharon for the local knowledge! 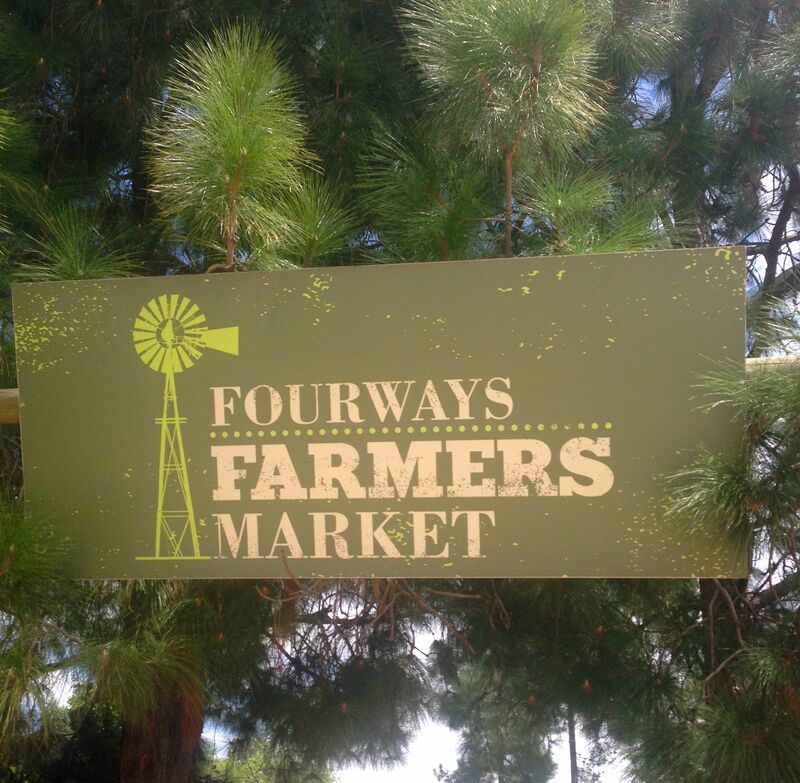 Fourways Farmers Market is at the Earth Outdoor Nursery, Corner of Monte Casino Boulevard and William Nicol Road, Fourways, Johannesburg. It’s open from 10am to 3pm on Sundays. Click here to find out more.